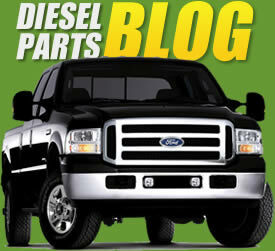 The Ford Powerstroke 6.4L Diesel is manufactured and designed by Navistar International, this engine was used in the 2008-2010 ford F-Series truck. The Ford Powerstoke 6.4L uses a high pressure common rail fuel system designed by Siemens. The system is called common rail because all 8 injectors are pressurized by a high pressure fuel pump. The eight diesel injectors are connected together by two fuel rails; the system operates at 26,000 psi. The injectors are actuated electronically by a command from the Engines ECM. TamerX offers only the highest quality brands by both Motorcraft Diesel Injectors and Bostech Diesel Fuel Injectors.